In the not-too-distant past, when your dog or cat ran away, you were facing tough odds in ever getting them back again. Today, with microchipping, the odds are heavily in your favor. Most intake organizations – vet clinics, animal shelters, rescue organizations, and police departments – have the technology available that can instantly read a stray animals microchip and reunite it with its owner. Microchipping is so important and effective, in 2013, the American Animal Hospital Association (AAHA) and the American Veterinary Medical Association (AVMA) launched Check the Chip Day to be celebrated each year on August 15. The goal is to remind pet owners to make sure all the info on their pets’ chips is up-to-date and accurate. The day also serves to encourage owners who haven’t had their pets microchipped to do so. Here are some answers to questions people commonly have about microchipping. 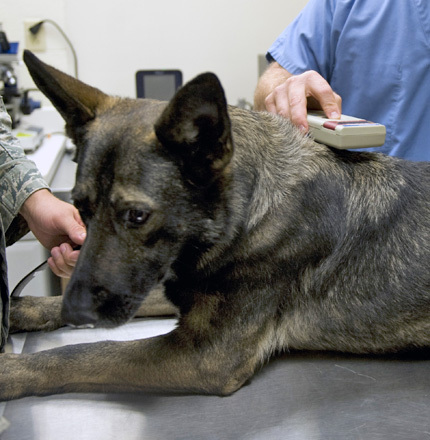 Q: Is it a difficult process to microchip my pet? No. The chip is about the size of a grain of rice and is painlessly inserted during a vet visit. The chip is usually placed between the animal’s shoulder blades. Q: What kind of information goes on the microchip? Usually only general contact information for the owners will be downloaded onto the chip. Q: How well do microchips actually work? A study by the American Veterinary Medical Association showed that only 22 percent of lost dogs that ended up in shelters are ever returned to their owners. For cats, it’s around 5 percent. The rate for dogs with microchips jumped 238 percent, and for cats the jump was an astonishing 2,000 percent! Q: Do chips have a one-time cost, or do I pay annually, like with a subscription? Some manufacturers require an annual registration fee, while others charge one price for the lifetime of the chip. Talk with your vet about the best options for you. Q: What about my family’s privacy? As mentioned earlier, the only thing you need to have downloaded onto the chip is your name and contact phone number. There’s no need to put your address – or social security number or place of employment or anything like that. Chip manufacturers also take the extra precaution of having safety measures in place to prevent hacking and stolen information. Q: Does the chip act as a GPS to locate where the pet is? Some do, some don’t. The chips we use and highly recommend at Tampa Veterinary Hospital are special tracking chips that are supported by a simple Google search. They include a state-of-the-art GPS system that lets you know where your pet is at all times. Other features on some models include built-in motion sensors to alert you if your pet isn’t getting enough exercise, as well as storage capacity of all your pet’s medical information. In this day and age of microchip technology for pets – especially that which includes a GPS – there are very few reasons anyone should ever “lose” an animal. 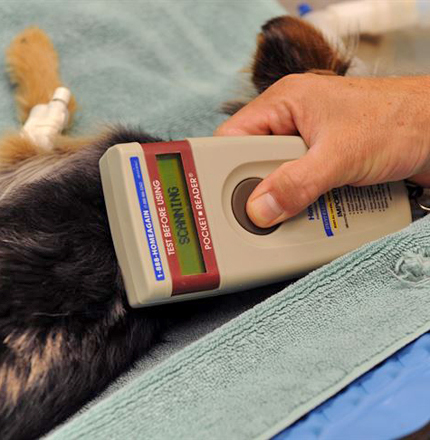 Take the proactive step and learn more about microchipping at Tampa Veterinary Hospital. It’s the easiest way ever to keep track of your beloved household pets when they get the urge to explore a little farther than they should.